This is the most complete guide that shows you how to start a blog on WordPress. I am going to take you through the entire process in easy to understand step-by-step instructions. There are many good reasons to start a blog: to have fun, learn new skills, meet new people, but most importantly to make more money! Blogging is an excellent way to earn a rewarding full-time income. Five years ago, I built and launched a men’s style blog. The website now earns a comfy six-figure salary. 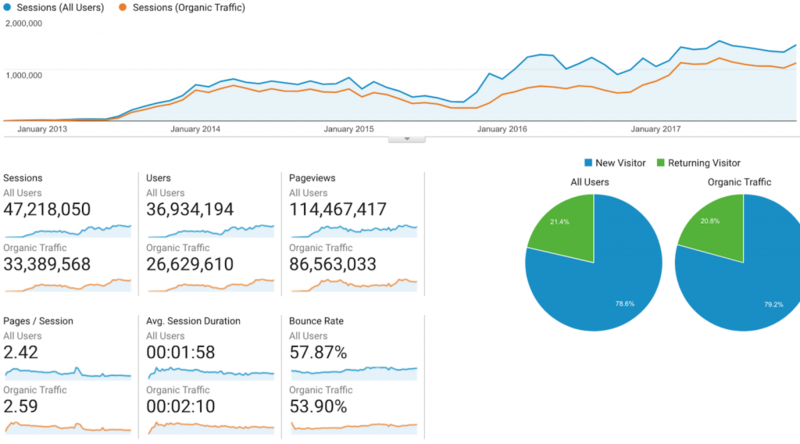 Traffic has grown to over 1 million users/month and 2.5 million pageviews/month. This traffic volume earns more than $20K/month. It is 100% possible to make more money blogging than almost any company will pay you for any job. The median salary for a CMO (Chief Marketing Officer) in Colorado is $171,222. I have surpassed that income blogging. My last full-time job title was Senior Manager Web Audience Development. It would have taken me years to (maybe, maybe not) get a CMO position. The other option is to start a blog as a side hustle to complement your current income. Follow this guide from start to finish. You will learn how to develop your blog idea, set it up, launch, and finally monetize your traffic. Keep this guide open in one browser tab. Build and launch your blog in another tab! Stay with me and you will be hugely rewarded. Just follow the steps. Super simple. Over the past five years I have set up hundreds of websites using WordPress. At first I had no clue what I was doing. At the time, I was a digital marketing and SEO expert not a web developer. Everything I did seemed to take a very long time. And, I made a tonne of costly mistakes. My goal is to show you only what you really need to know and do in order to be successful. You can get your blog up and running quickly and easily. I know this setup will increase your chances for success. Click here to start a blog on WordPress and then follow the steps below. If you have a small budget go with Bluehost and if you have a bigger budget go with Liquid Web. Both are great options for hosting. Now, lets take a look at each step in greater detail and show you how to get the work done. This first step is huge decision. Think it through so that you don’t end up starting all over again. What makes a good topic (niche) for blogging? I highly recommend investing in a keyword research tool for this step. I have tried them all. 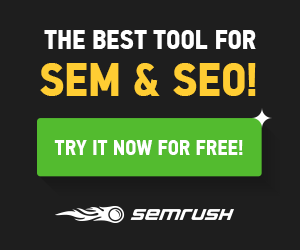 In my opinion the best keyword research tool with the most useful features is SEMRUSH. It costs $99.95 per month. If this seems pricey understand you can invest in it month-to-month. If you are on a tight budget get it for the first month and then cancel until you feel you need it again. It is totally possible to do all your keyword research up front in a few weeks and store the data in spreadsheets. So, one month at $99.95/365 days equals 27 cents/day. Not too bad. No big deal I use this tool every single day because of all the great features that help me grow my business. I know for a fact SEMRUSH pays for itself. If you are serious, get it. This is another big decision. Your domain is your web address. My domain is biggerdigital.com. Nobody mentions this in any of the articles ranked on page one of Google for “how to start a blog”. I recommend using WordPress. It is by far the best blogging platform that you can use. It is free, super easy to use, and has amazing features and functionality. The primary reason that I recommend using WordPress hosted on your own servers is because then you own it and control it. With other platforms, you lose control of important things like on-page SEO, page speed, and security. Plus, all your files and content are located on their servers. Not ideal if you build a six-figure successful blog. WordPress can be easily set up at your web host. Alright, you now know what you will blog about and you have decided on a great domain name for your website. You are almost ready to start building your website. The next step is to select your hosting provider and package. This gives you space on a web server to store all your files, images and HTML code. It is where you will install WordPress. You must do this. Why Do You Need To Get Web Hosting? 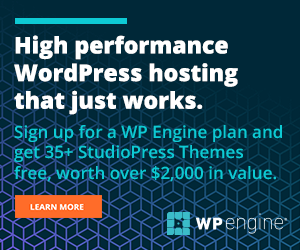 Building your own site using WordPress and hosting it on your own web server gives you complete control and ownership of the valuable content you are going to create. You don’t want to build a super successful blog and have everything on some third party company platform like Wix, Squarespace, or Weebly. I recommend two companies that I currently use for my web projects. Bluehost and Liquid Web. You probably have seen ads around the web like the one below promoting super cheap hosting. I have been a bluehost customer for 7 years. Bluehost is definitely a great web hosting choice for most people. I agree 100% with the statement on their ad. Especially for hobby blogs. However, I am going to tell you something that most digital marketing experts and pro bloggers won’t tell you. You get what you pay for. Keep that in mind. If you start small eventually you will outgrow the service. If your budget is small by all means go for their cheap shared hosting deal. This is a great package to get started that I used it myself to build my very first website (that I scaled up to 500,000 monthly page views in six months). Do get a dedicated ip address at the very least. The beauty about Bluehost is that they cover the cost of your domain name in year one. Bonus. Every other how to start a blog guide is going to stop right there. We have unfinished business. Spend even more money on hosting if you can. As I mentioned I started with Bluehost. But when my site hit 500,000 page views in month 6 it slowed down suddenly. I lost ad revenue since many ads were not viewable. Not good. I switched to a Liquid Web fully managed dedicated server. All my sites are hosted on this server. Most people don’t need this kind of power. Especially when you are getting started. The above Liquid Web offers are incredible deals to take advantage of right now. Ample power and superior service. I don’t lift a finger when it comes to managing my server. Liquid Web does it all. IF you intend to launch a six-figure blogging business go with Liquid Web. In my opinion this is another no brainer business expense that pays for itself in the long run. If you move to Liquid Web (from Bluehost) they will migrate your site from Bluehost flawlessly for free. The next step in this how to start a blog guide is to install and set up WordPress. If you go with Bluehost you will have to do this yourself. Follow these steps. It is super easy. Liquid Web will set up WordPress for you. Once this is in motion (or beforehand) you will need to change your name servers wherever you registered your domain. This is a good resource from Bluehost that tells you how to do that at all well known registrars. We are rolling along here and getting things done! You have almost completed setting up your new blog on WordPress. 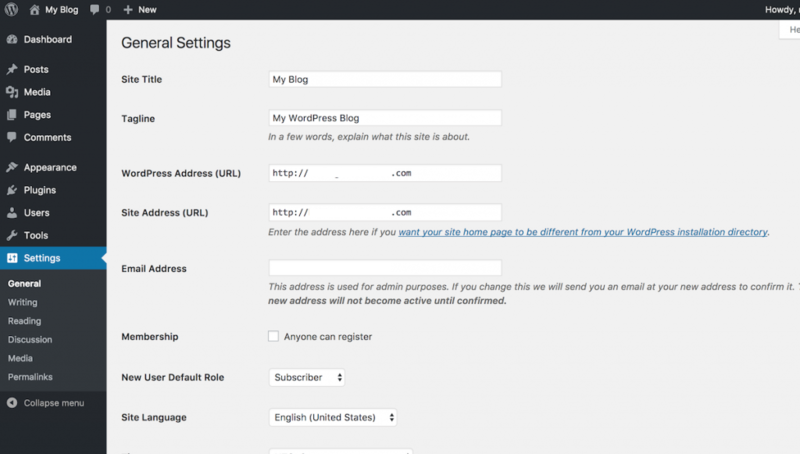 Next, assuming that you have WordPress installed I am going to show you how some settings to take care of right away. Log in to your brand new WordPress site. 1) Navigate to General Settings. Change My Blog to the name of your Site, delete the Tagline, delete the www. 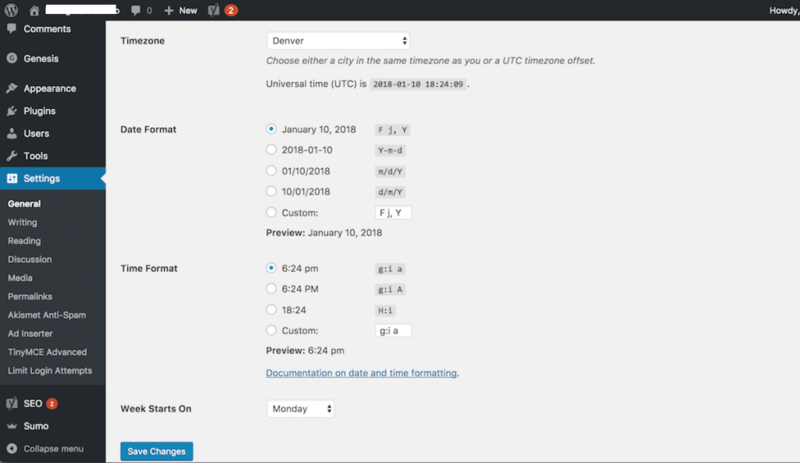 from your WordPress Address and Site Address URL’s (shorter is better), scroll down and change to your timezone and then click save changes. 2) Next navigate to Reading Settings. Change to show 10 blog posts and 10 items in your syndication feeds. Click on Summary under “For each article in a feed, show. Click save changes. 3) Navigate to All Posts. There you will see a sample post called Hello world!. Click Trash. Then click Delete Permanently. 4) Navigate to All Pages. There you will see a sample page called Sample Page. Click Trash. Then click Delete Permanently. 5) Go to Permalink Settings. Click on Post name. Click Save Changes. 6) Navigate to Widgets and delete any you see. Click the down arrow for the Primary Sidebar. Click the down arrow for each widget you see and then click Delete. You won’t need to setup you Widgets until you have created content. You have a blank WordPress shell ready to go. 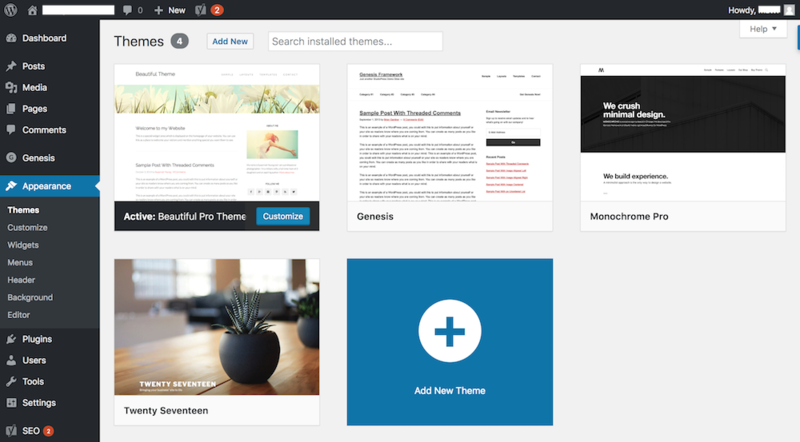 Now it is time to improve the design by adding a WordPress theme. 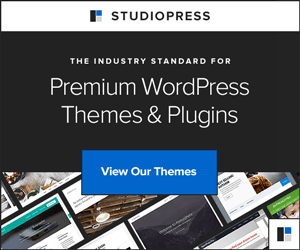 I have tried many WordPress themes over the years. My top pick and only recommendation is to go with a Studiopress theme. You can buy a single theme for $59.95 and up. Or get their Pro Plus All-Theme Package for $499.95. This is what I did and I have zero regrets. It includes all new themes that they release in the future. Exceptional value! I love the fact that I get every single new Studiopress theme as they are released. 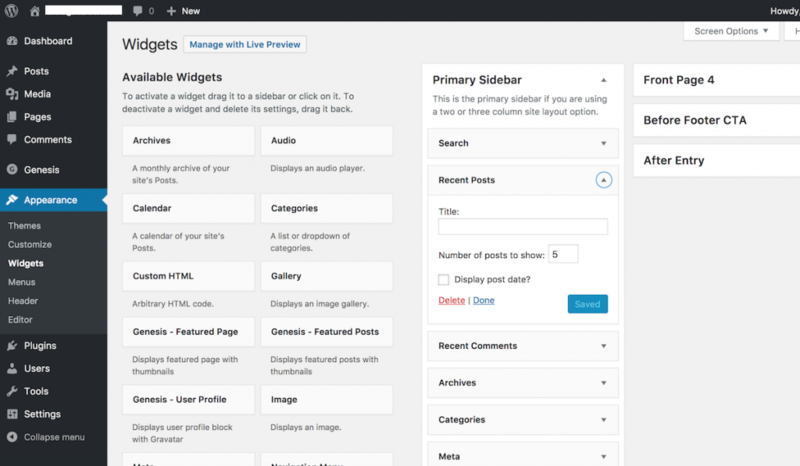 To install a WordPress theme navigate to Appearance -> Themes. Click on Add New Theme. You can see that I have a Studiopress theme installed. 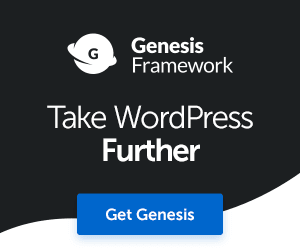 Note, if you go with Studiopress you must install the Genesis Framework first followed by the child theme that you purchased. To search for new WordPress plugins and install them go to your Dashboard and navigate to Plugins -> Add New. These are some plugins that will get you started. I use and recommend them all. Search by keyword as shown above and install the plugins that you want to try. Organic search delivers the highest quality traffic and most engaged audience. To grow your blog audience you must make it a priority to consistently improve SEO and get more organic search traffic. This starts with implementing stellar on-page SEO and sticking to a SEO checklist when you create content. The Yoast SEO plugin will help you get more organic search traffic. Go ahead and install the plugin. I want to show you the Yoast SEO settings that you should take care of immediately. Follow these steps and you are all set. 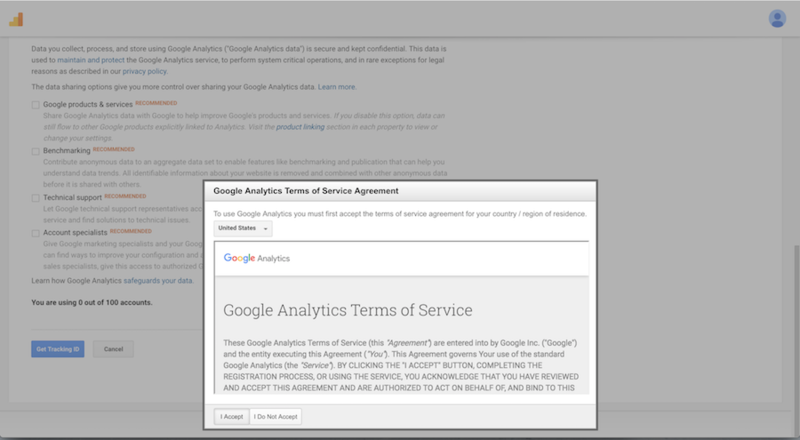 Now that your WordPress blog is live and functional it is time to configure Google Analytics and Google Search Console. Both of these applications will help you make sense of your blog engagement and web traffic sources. Okay, let’s setup Google Analytics right now. It is super easy to do. 1) Click Sign up, and use your gmail address. 2) Enter Account Name (I use my business name), Website Name, and the Website URL (specify https vs. https), and your time zone. 3) Click Get Tracking ID. 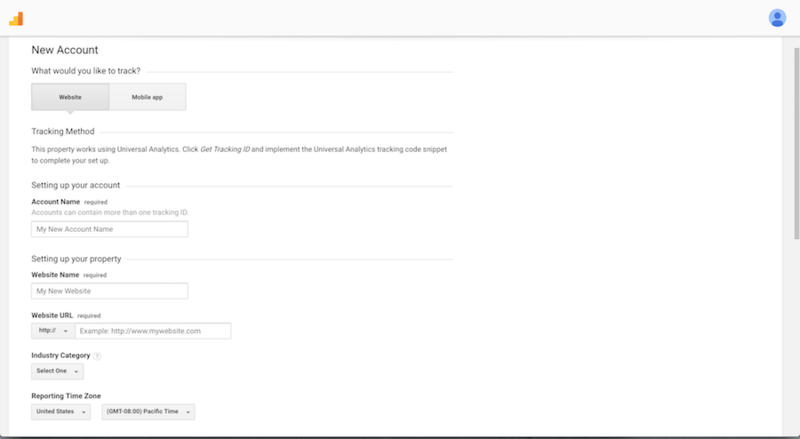 That’s it, you are all set up with Google Analytics. Google Search Console helps you monitor your website in Google Search results. 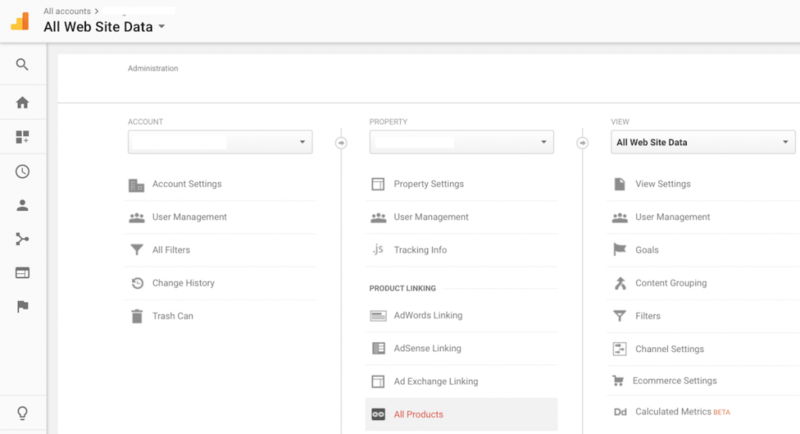 1) Go to Search Console, enter your web address and click add a property. 2) Download the HTML verification file. Upload this file to the public_html folder at the root of your server using an FTP solution such as FileZilla. Select I’m not a robot, answer the recaptcha question, and click verify. 3) Navigate to Sitemaps and submit your XML sitemap. If you are using the Yoast SEO plugin enter sitemap_index.xml here. 4) Navigate to International Targeting and select your target country. This should be the country that you think will generate the most traffic and sales for your business. This is your primary audience. Click save. Bam! 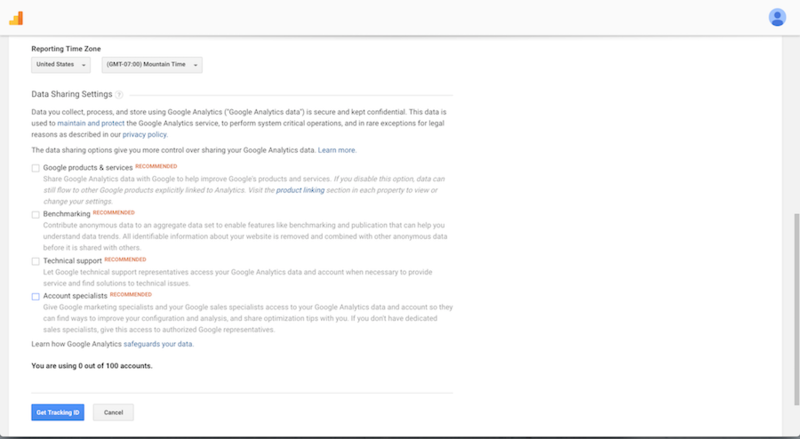 You are now setup in Google Search Console. 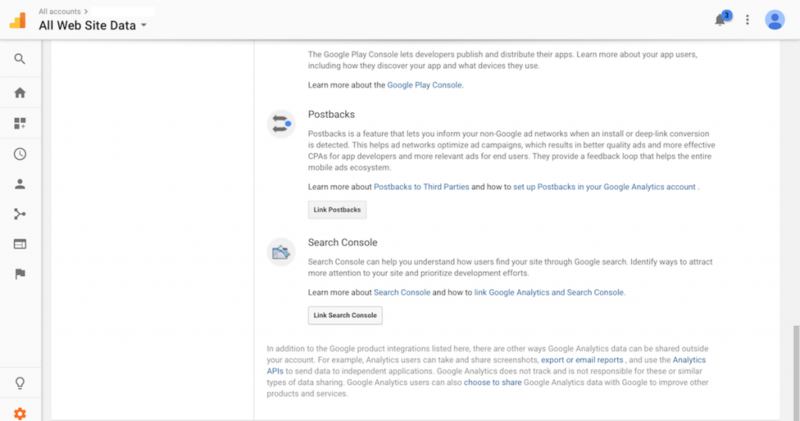 Now we will link Google Search Console to Google Analytics. 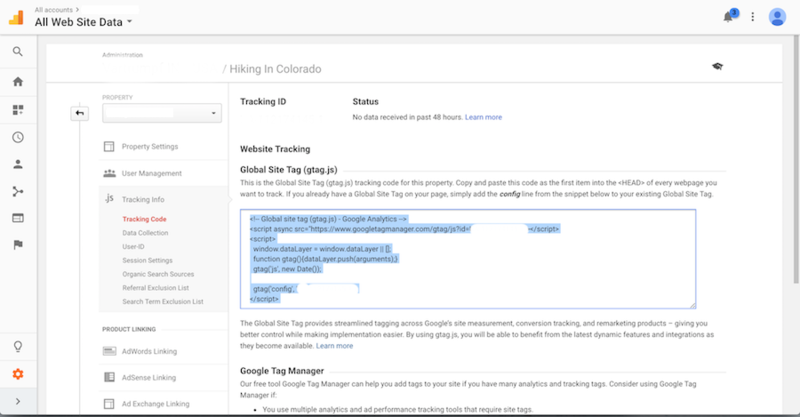 Then you can review some GSC data in the Google Analytics reports. 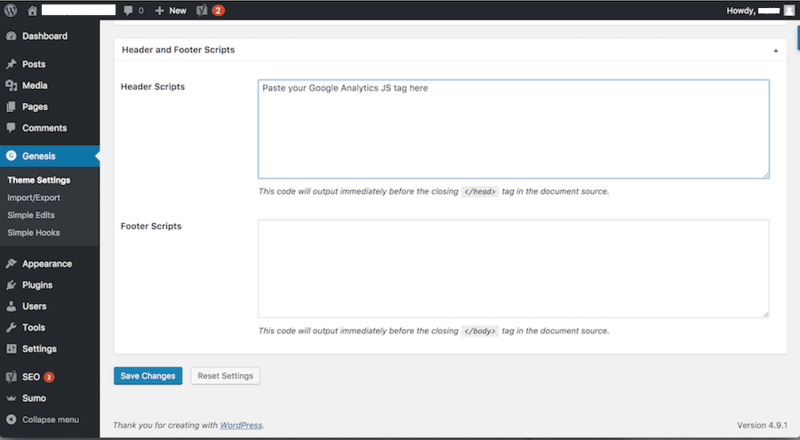 1) Open Google Analytics and go to the Admin Section. Click on All Products. 2) Scroll down and click on Link Search Console. 4) Select your site and click Save. That’s it, you have linked Search Console to Analytics. We have now learned how to start a blog on WordPress. Everything is completely set up and running. The next step is to create and promote amazing content. I am going to show you how to do that. If you want to get a tonne of organic search traffic you must create interesting, useful, high value content that genuinely helps people. This is my goal (to help people) with this article. When I first started building websites with WordPress I was often confused. At the time it was tough to find good resources for help. I learned by trial and error. Now I wish to share what I learned to help others. That’s you. As it stands today the top ranked articles are not providing a complete picture in detail of how to start a blog or website. Or, the information is outdated. I did. 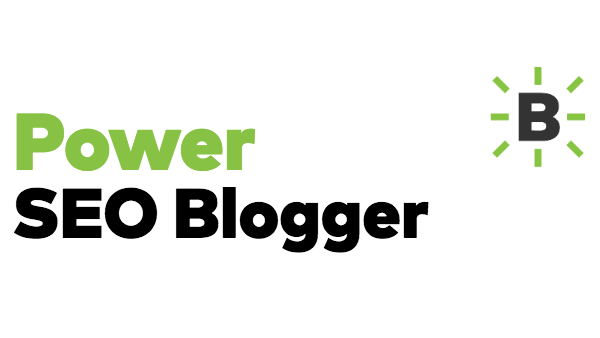 This is a comprehensive guide that shows you step-by-step how to launch a high performance blog. In time, I expect this article to rank number one for all my target keywords. If you you keep these tips in mind with every piece of content that you produce you should get a good amount of organic search traffic by month 9. Perhaps by month 6. Part of the content creation process is to promote your articles right after you publish them. Back in step 3 we secured the most important social media accounts. From my experience, pages that are shared more rank better in organic search. My recommendation is to focus on Pinterest, Twitter, Instagram, Facebook and YouTube for maximum impact. Cross promote your channels to build a uniform audience and generate more traffic overall. Make it easy for your audience to share your articles. I recommend using either Sumo or MashShare. Both work great. So, you have learned how to create a blog. But the game doesn’t stop there. Next, I am going to teach you how to monetize a blog. The easiest way to monetize your blog traffic is by putting ads on your site. However, I recommend waiting at least 6 months after you launch your blog. Focus on steps 1-9 of this guide first. There are a number of display advertising networks that you can apply to and monetize your site traffic. Google AdSense is the easiest and most popular way to monetize web traffic. Adsense delivers the highest quality advertisers and most targeted ads for your site. First, you need to create a significant amount of content. Your site needs to look like a real website that has valuable content. Don’t feel like you need to rush into making money with AdSense. You probably will not have enough traffic to make any money during the first 6 months. Create a great website with amazing content first. Make it a priority to build up your audience and traffic. The money will come later if you focus on how to launch a blog that is premium quality. A complement to Google AdSense is Media.net. When your site is ready and you apply to AdSense you can also apply for a Media.net account. Again, don’t rush. Focus on building a great website and amazing content. The FB Audience Network is another great complement to the above networks. It is only good for mobile traffic and websites. I had the most success using only one ad unit inserted somewhere in the first 12 paragraphs of my articles. If you have a large number of images on your website and you have built up your traffic apply to GumGum. It is another great way to monetize your traffic. GumGum ad units do not conflict with traditional display ad units since they are pinned to the bottom of images and are not embedded in text. Choosing the right ad units and putting them in the right spots can impact your ad revenue in a huge way. 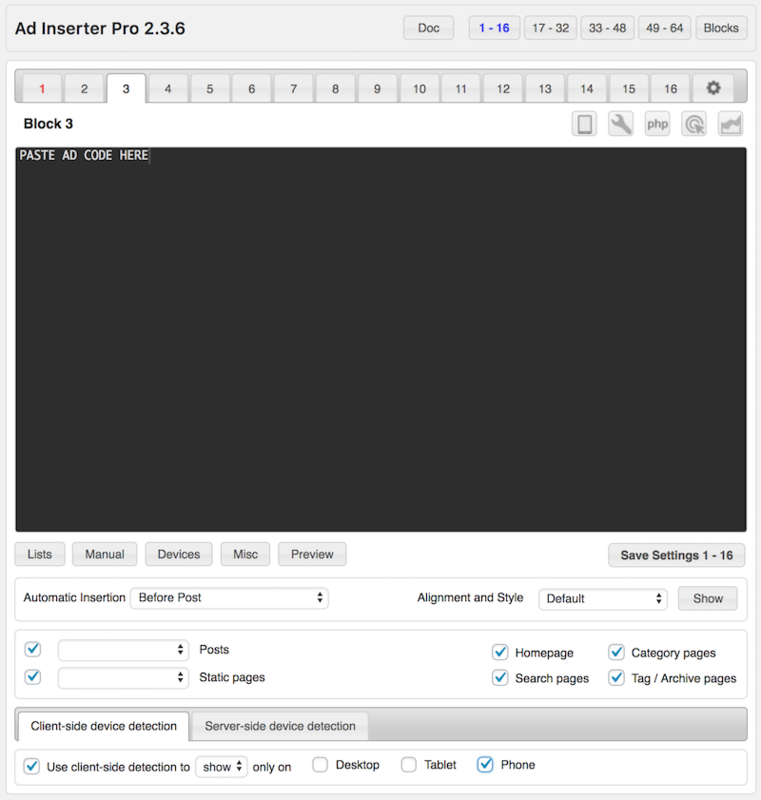 I use Ad Inserter Pro for ad management. It does everything I need it to do. My men’s blog has had more than 120 million page views since I launched it 5 years ago. Over time, I have run a tonne of experiments and analyzed the performance of pretty much every ad type and ad location. I am always looking for new ways to increase my ad revenue. My blog now earns more than $20,000/month. As the site generates more revenue I raise the bar higher. You can fit about 12-16 ad units in long 2000+ word articles. This is a great starting configuration of ad units per page. Use less ad units on shorter articles. 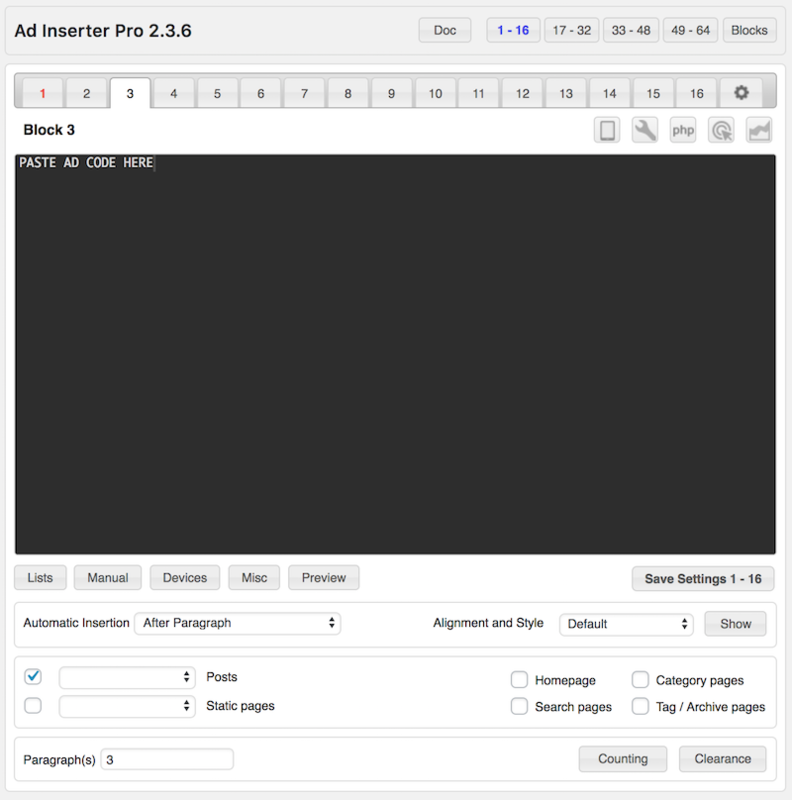 You can automate this using Ad Inserter Pro. Test and see what works best for you and then adjust your mix. I really hope that you made it all the way down here to the bottom. If you did, you are on your way to doing something amazing. You searched “how to start a blog”. And, I have showed you in great detail exactly how to do that from start to finish. Now, the final step is a lot of exceptional hard work. My men’s blog became a huge success because I was always willing to do more, be smarter, and work harder than my competition. 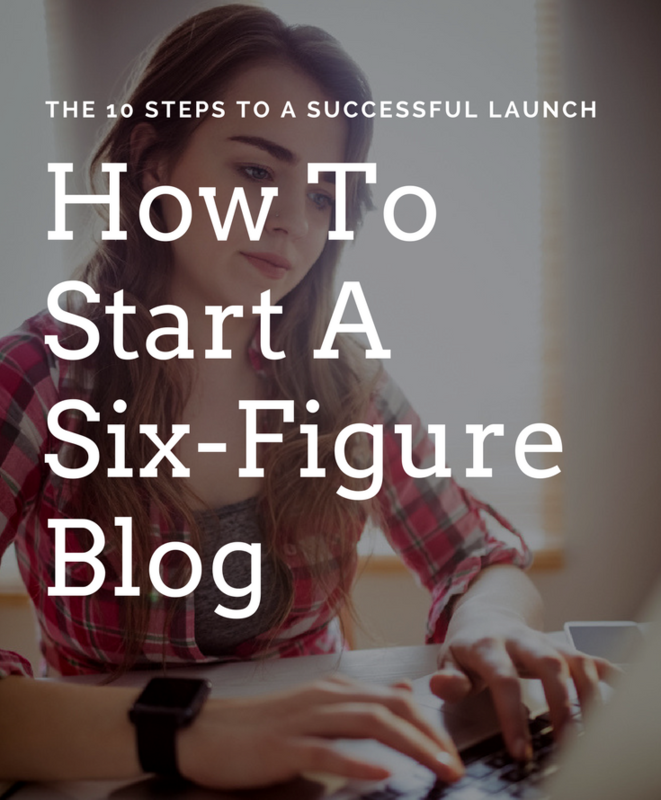 This is the secret of how to start a blog and make it a success. It is totally obvious, completely possible, but very difficult to accomplish. While working a full time job, I worked an additional 50+ hours/week in my spare time on the blog. This was a tough schedule to maintain for the first full year. In particular, due to the fact that during the first six months (see chart below) you do not see any real growth in traffic or income. You have to ignore this reality and keep going. Remain optimistic. Move forward. If you are relentless you will win. Below is the 5 year journey of my men’s blog. It took 9 months of hard work before it started to grow. For every project I work on my goal is the same. Build the best product (the blog) and create only high quality content that truly helps my audience. Now, I aim to do this with Bigger Digital. I am going to help as many people as I can. I think everyone deserves a better working life. Final Thoughts: Why You Should Start A Blog! This concludes the Bigger Digital guide on: How To Start A Blog On WordPress And Make Money. I hope that you will take action and follow the steps. You can totally start a blog and create something big too! Please comment below and let me know your thoughts and if you have any questions. Found this guide helpful? Please share and pass it on to your friends or colleagues. If you really liked this article on how to start a blog you should check out my digital marketing course. In step-by-step easy to understand instructions I show you how to build, launch, promote and monetize a legitimate digital business that can earn a six-figure income or more. This can totally be accomplished in one year if you work hard and know what you are doing (the course tells you this part). Click to get more information. Learn, build, earn! A great ad unit and position to use is a Google AdSense responsive text ad unit below your menu. High CTR. This is my top earning unit. You can show for only phone traffic as I did, or for all devices…up to you. I don’t like how it looks on desktop and it also doesn’t produce as much revenue. Other than that, I start inserting ads starting at paragraph 3, every 4 paragraphs. Other key locations are leaderboard. After articles/posts. And one or two ad units in your primary sidebar. 300×600 works well for desktop traffic only in the top sidebar position.